An important piece from U.S. News & World Report’s James Pethokoukis. 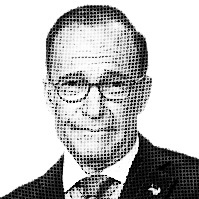 “The greatest story never told.” It’s a fun catchphrase that I’ve heard Kudlow repeat on his CNBC show time and time again during 2006 and 2007. (Full disclosure: I am a frequent guest on Kudlow & Co. and a CNBC contributor.) Indeed, if you do a Google search on “greatest story never told” and “Bush economy,” the first thing that comes up is an article written by Kudlow for National Review Online. If you attack that idea, it’s clearly an attack on the expertise of America’s leading conservative economic commentator. It’s also an attack on supply-side economics and the tax cuts of 2001 and 2003….